"What’s the best app to view PowerPoint on Nexus 9 tablet? I have some training PowerPoint presentations and want to view PowerPoint on Nexus 9 but have no idea how to do this. Do I need a PowerPoint viewer for Nexus 9 or should I convert PowerPoint to Nexus 9 tablet? Please help." Most Android tablet users would come across such kind of questions when they try to view PowerPoint on Nexus 9 and other Android tablets. Actually, Android tablets don’t support direct view and playback of PowerPoint presentations. To view PowerPoint on Nexus 9 and other Android tablets, there are 2 ways: make use of PowerPoint viewer for Android tablet, or convert PowerPoint to Nexus or other Android tablet compatible video. You get detailed information about these 2 methods in this guide to easily view PowerPoint on Nexus 9 and other Android tablets. This guide would take how to view PowerPoint on Nexus 9 tablet as example to show you how to view PowerPoint on Android tablets. The easiest way to view PowerPoint on Nexus 9 tablet is without doubt to make use of PowerPoint viewer for Nexus 9. By searching Google Play PowerPoint, you could get quite a lot of PowerPoint viewers on Googl Play. 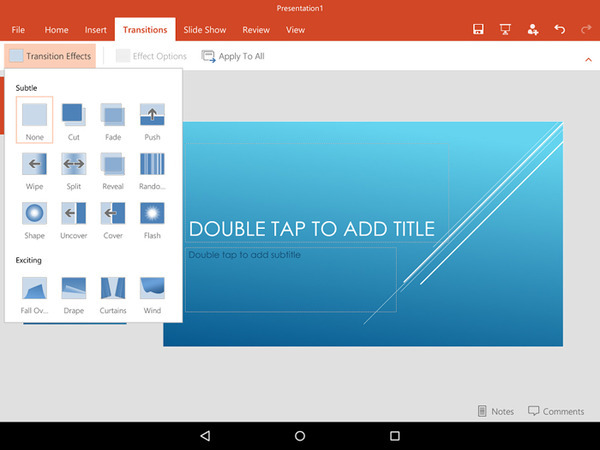 The lucky thing is that Microsoft has already released its Office app for Android, including PowerPoint for Android. This PowerPoint app for Android has the familiar look, feel and quality of Office with an intuitive touch experience designed for Android phones and tablets. It enables you to create, edit and view PowerPoint on Nexus 9 and other Android devices with a screen size of 10.1 inches or smaller. You’ll have easy access to your presentations in the cloud whenever you need them. It offers free service for you to view PowerPoint on Nexus 9 and other Android tablets, but requires you to subscribe Office 365 to unlock its full feature liking editing and creating. Open your PowerPoint file and go to "File > Export" at the upper left corner. 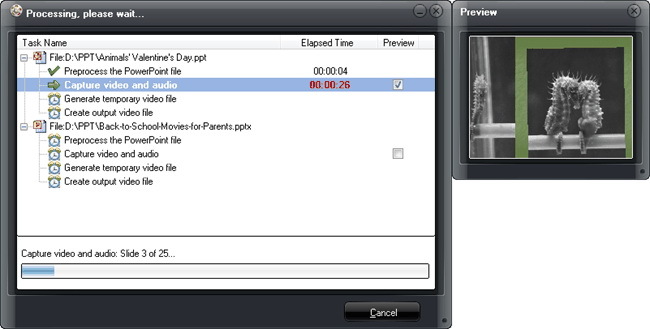 Choose "Create a Video", and make up simple settings for the PowerPoint file. 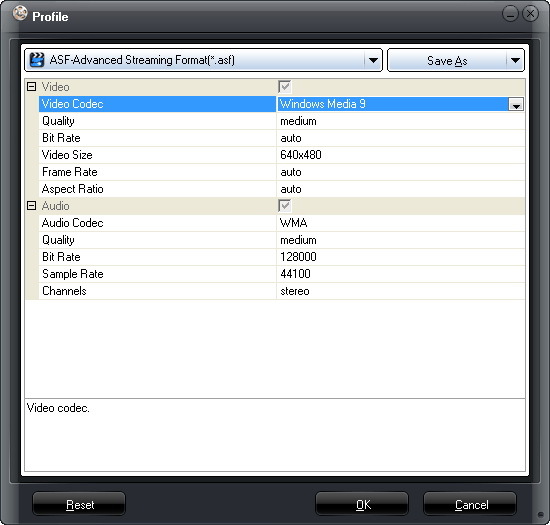 Then set output video resolution, narrations, and slide duration. 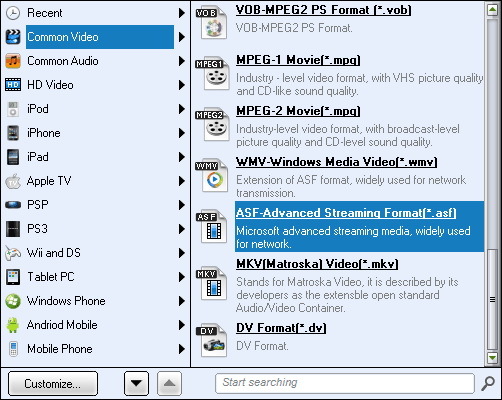 Click the "Create Video" button and then choose a location to save the exported video, name output video and choose either WMV or MP4 as output format in "Save as type" box in the pop-up window. It’s suggested you choose MP4 as output format for Nexus 9. Now, your PowerPoint presentations have been converted to video files that could be recognized by Nexus 9 tablet. What you need to do is transfer converted PowerPoint presentations to Nexus 9 tablet for free playback. MS PowerPoint could help you convert PowerPoint to MP4 or WMV only. 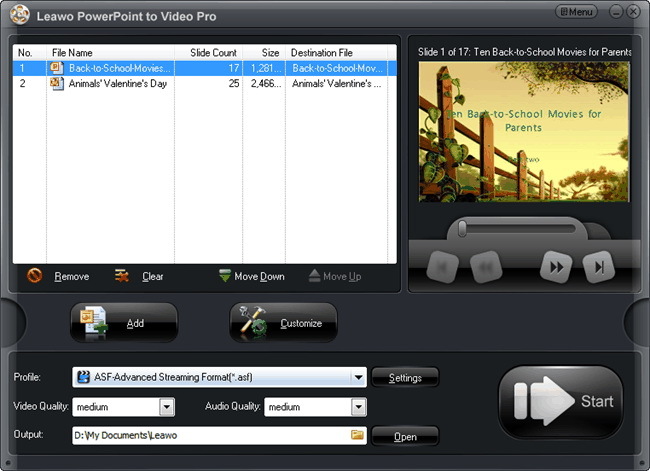 If you want to convert PowerPoint to AVI or other formats, you need to turn to other professional PowerPoint to video converter software, just like Leawo PowerPoint to Video Pro, a professional PowerPoint to video converter program that could convert PowerPoint files (.ppt, .pptx) to more than 150 kinds of standard audio and video files like AVI, MP4, WMV, 3GP, MOV, MKV, etc. for multiple media players and portable devices, Nexus 9 included. What’s more, it even allows you to edit PowerPoint files to get customized presentation easily. 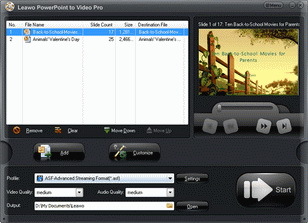 Download and install this PowerPoint to Video Pro on your computer via the above link. The following guidance will show you how to convert PowerPoint to MP4 for Nexus 9, and you can free download the software to have a try. 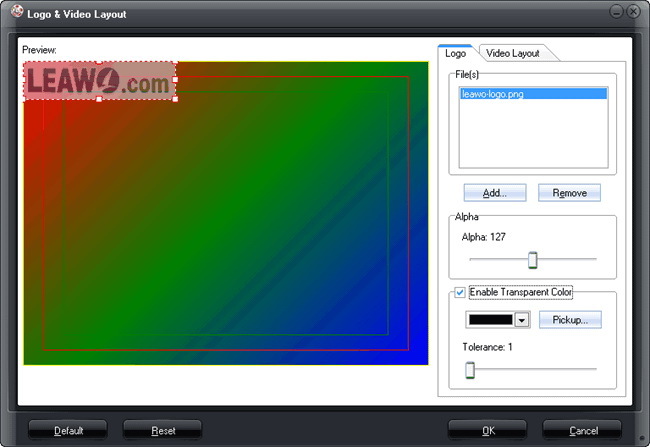 Note that the trial version will add watermark in the converted video. Open the "Profile" box and then select MP4 or AVI as output format from the "Common Video" group. Click "Output" box on the main interface to set output directory. Finally, click the "Convert" button at the right bottom. This PowerPoint to video converter would start to convert PowerPoint to MP4 video for Nexus 9 immediately.